Then, as if they sensed my return, the rocks randomly collapsed in front of me.. the moment made me smile.. :) especially because of the synchronicity of the circle. I returned at random. and the natural collapse occurred within that window of minutes. 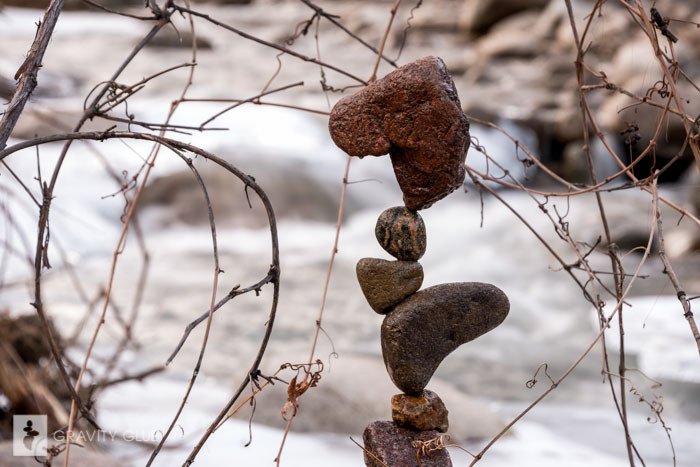 I especially like this location because of all the flood debris hanging everywhere, it provides the perfect zen to the curves in the rocks..
I’m a rock collector and this balance is just amazing! Keep up the great art! I love it that watching the rocks collapse made you smile. There is such beauty in witnessing the transformation of anything, and it’s awesome that you found that perspective and reminded me.